I love pillows! I dream of my bed being loaded with pillows, but most of them just for decoration. I ooo and ahh over instagram photos of pillows. So I was really excited when Hannah Jane put their Chevron and Chain Link Pillow Covers on sale! How cute are these? The colors will bring spring into your home, and give you something to smile about every time you sit down. 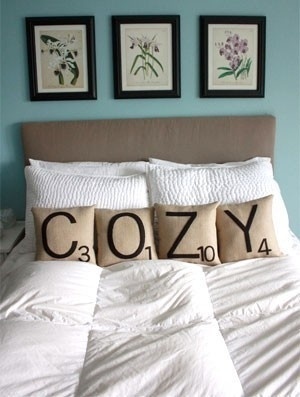 In fact how can you not see these and want to snuggle up with them and a good book? Use code PILLOW12 at checkout to bring the price down to $9.99/cover. This deal ends Monday February 24th. Oh yeah, and Hannah Jane loves you so much, that when you use that code (PILLOW12) everything in your cart will SHIP FOR FREE! I love free shipping..and pillows..and free shipping.